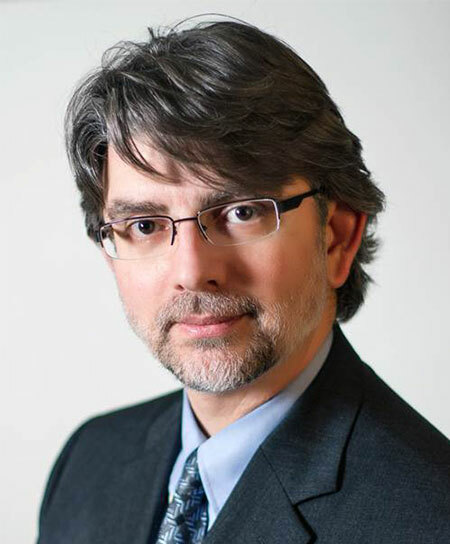 Dimitry Beluli is a senior partner of Beluli Giannotti LLP in Windsor Ontario, a firm he started in March 2009 together with Anthony Giannotti. Dimitry obtained his law degree in his home town from the University of Windsor and has been practicing Business Law, Real Estate Law and Will and Estates law in Windsor for over 24 years. Dimitry is also a Notary Public and is a commissioner of oaths in the Province of Ontario. Dimitry is an accomplished computer programmer and computer systems consultant, providing services to businesses throughout the Southwestern Ontario region via his company, Enable Technology Systems. Dimitry is also an owner of SOCOR Corporate services, a corporate secretarial services company that also provides escrow services including computer source code escrows. Dimitry was also an Institutional Analyst in the Institutional Analysis department at the University of Windsor. He provided information and analytic support to the university President, Vice Presidents and Deans as well as acting as a liaison between the University and the government and other universities. As a result of the transition of the University to its in house created University Student Information System, Dimitry authored many of the enrolment analysis reports used by the university administration that are still being used to generate reports on the University of Windsor web site to this day. Dimitry has presented lectures at the University of Windsor to students, faculty and administration and has also taught the Bar Admission Course Business Law Section for the Law Society of Upper Canada. Dimitry also has presented at numerous functions and organizations in the Windsor area, speaking on a variety or pertinent legal topics. Dimitry brings unique value to his clients by drawing on his experiences as a lawyer, medical researcher, computer programmer and institutional analyst, finding novel solutions to his client’s legal issues. Beluli, D.J., Differential Control of Renal and Splenic Postganglionic Nerves by the Rat Ventrolateral Medulla. Faculty of Graduate Studies University of Western Ontario. September 1991. Beluli, D.J. and L.C. Weaver. Areas of rostral medulla providing tonic control of renal and splenic nerves. Am. J. Physiol. 261:H1687-1692, 1991. Cited in 24 research papers. Cited in 2 textbooks: Handbook of the Autonomic Nervous System in Health and Disease (2002) by Liana Bolis, Julio Licinio, Stefano Govoni and Central Nervous Control of Autonomic Function (2007) by Barry Jordan. Beluli, D.J. and L.C. Weaver. Differential control of renal and splenic nerves without medullary topography. Am. J. Physiol. 260:H1072-H1079, 1991. Cited in 33 research papers. Beluli, D.J., K. Hayes, and L.C. Weaver. Tonic sympathetic control of the kidney, spleen and heart originating from ventrolateral pontine neurons in rats. Society for Neuroscience Abstracts, Volume 16 Part 1, 1990. Beluli, D.J. and L.C. Weaver. Differential control of renal and splenic nerves is not due to topographical representation in ventrolateral medulla. Society for Neuroscience Abstracts, Volume 16 Part 1, 1990. Beluli, D.J. Effects of University 101 on Academic Success. Report Presented to the Senate of the University of Windsor, 2003. Beluli, D.J. Report to the Academic Policy Committee on Admissions to the University of Windsor. Action Plan Working Group, 2003. Beluli, D.J. An Examination of High School Averages and First Year Grade Point Averages – University of Windsor Confidential Report, 2003. Beluli, D.J. An Analysis of Ontario and University of Windsor Demographics. University of Windsor Confidential Report, 2003.